SANCTUARY Cove will host Sunday Sounds as soulful tunes and free entertainment fill The Village Green on Sunday, June 24 from 12:30pm to 5pm. 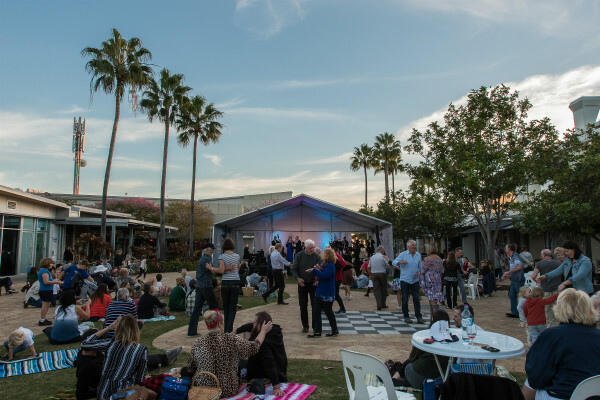 Boasting a jam-packed line-up of free, live music, brilliant family-friendly entertainment and a relaxed alfresco atmosphere, the event takes guests back in time with two top performers secured to provide live music at the anticipated event. The entertaining Miss Mandy Swings will kick off proceedings as she returns once again to this years’ event performing her ever-popular fusion of jazz and cabaret. Accompanied by a live six-piece swing band and a collection of fabulous costumes inspired by the 1940s, Miss Mandy promises to dazzle her audience with tributes to icons such as Bette Midler, Judy Garland, Liza Minelli and Ella Fitzgerald. After Miss Mandy, the headlining act Sebastiaan and the Retrospect’s will take the stage performing their eclectic mix of swing, jazz, rock and roll and ballads from crowd favourites Frank, Dean and Roy and Elvis mixed with some Nat King Cole. Set to perform songs that transport you to a time when Swing was a thing, Sebastiaan and the Retrospects are renowned for their playful way of entertaining which has crowds swooning to their favourite old-school tunes. With a host of flavoursome food options available at The Marine Village, guests are encouraged to pre-order their takeaway dishes, so they can enjoy the ultimate picnic on The Village Green. As a family-friendly event, Sunday Sounds Retro will accommodate for all members of the family with entertaining roving retro characters including Elvis, Marilyn Monroe, Charlie Chaplin and others. There will also be plenty of children’s activities set up to keep little ones happy as the soulful afternoon progresses into the evening. Miss Many Swings will perform from 12:30pm to 2:30pm and Sebastiaan and the Retrospect’s will be on stage from 3.00pm to 5.00pm. For more information visit www.sanctuarycove.com.au.